It's Facebook Fridays! for October 2, 2015! 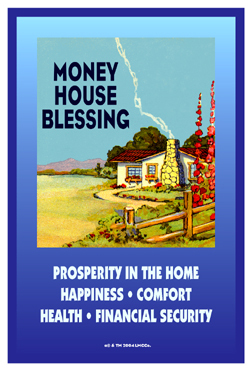 This is the week to dress and bless your home! The Lucky Mojo Curio Company is holding a random drawing to give away 2 amazing arrays of hand-made and prayed-over spiritual supplies -- each winner will receive a dressed and fixed House Blessing Vigil Candle, a bottle of authentic Lucky Mojo House Blessing Oil, and one foil-packet each of our justly-famed House Blessing Bath Crystals, House Blessing Incense Powders, and House Blessing Sachet Powders. Use these products and your home will glow will inner radiant light! 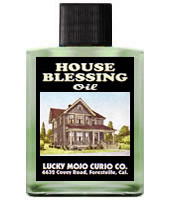 First thing tomorrow morning, we will select TWO winners at random, announce their names here, and ask them to message this Facebook Page with their mailing addresses, so we can send them their FREE House Blessing products. We have a winner! In fact, we have 2 lucky winners! Our Facebook Fridays! winners for October 2, 2015 are: Deirdre Mcclintock and Monica Johnson.